I have been following, minimally, the debate around whether or not it is appropriate to speak ill of the dead now that Jim Flaherty is dead. He was the Finance Minister of both the federal and Ontario governments at various times and oversaw campaigns of cuts to social spending in both governments. I think that this debate is actually really helpful. To be clear, I think that everyone who is arguing that it is wrong to speak ill of the dead is a hypocrite and I am concerned about what the implications of this are for history. Do we just rewrite history to make everyone glossy and good once they are dead? Further, it is always only certain people who this is said about. It is okay to speak ill of Hitler and Stalin. However, the don’t speak ill of the dead was in the air when Thatcher, and Regan died. What is happening here, then is a division between ‘us’ and ‘them’. Thatcher and Regan are responsible for misery and the death (although the scale may be different, their actions led to the deaths of hundreds of thousands, if not millions of people through economic policies, war mongering, and support of brutal dictatorships). Those people who are saying that we shouldn’t speak ill of Flaherty are implicitly or explicitly ascribing to the notion that he is one of ‘us.’ He worked with ‘us’ to make the world better. What is useful in this debate, then, is that we get to see who views Flaherty, fundamentally, as one of ‘us’. As someone who was on welfare when his government was persistently attacking social assistance, how could this not be personal? For the many poor people who were evicted because of his policies, this is personal. For the people who were arrested under the Safe Streets Act, this is personal. For the many poor people who lost out – lost childcare spots, lost social programming, lost their jobs, this is personal. As a central figure in both the Harris Common Sense Revolution and the Stephen Harper Government, James Flaherty brought austerity, poverty, misery and premature death to the communities he attacked. I will not dishonour the memory of Kimberly Rogers of Sudbury, who was killed by his actions, and many others besides, by shedding any fake tears at the news of his passing. 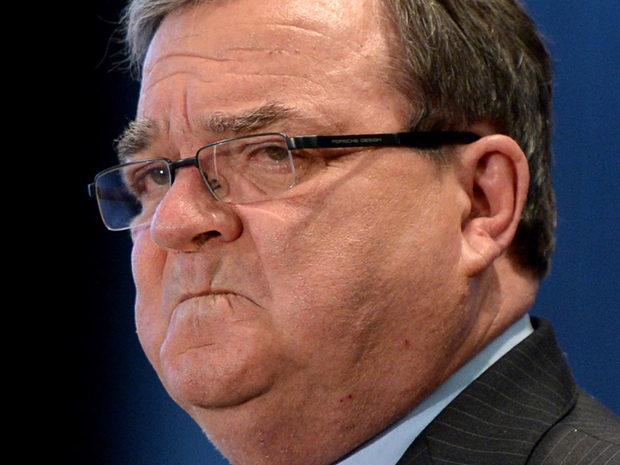 Flaherty has gone and may everything he stood for be defeated. I profoundly agree with this statement and I was quite troubled by the attacks on John for speaking the truth. However, I think the silver lining in all of this is that it does help reveal for who politics are just politics and for who they are really about surviving. Muclair can shake hands with Flaherty and go for a drink because he isn’t deeply affected by the harm Flaherty has caused. So many people are also talking about how this is so sad for his family. I have no doubt that this is true. But let’s not forget that his wife, Christine Elliott, is a member of the Ontario Progressive Conservative party. Will she mourn our dead if her government eliminates ODSP – as it has promised? Some of us don’t get to chose a side. The discussion around not speaking ill of Flaherty has been useful, however, in revealing what side some people who claim to be allies are actually on. This entry was posted in Poverty, social assistance and tagged class war, Jim Flaherty, John Clarke, Kimberly Rogers, NDP, ODSP, welfare. Bookmark the permalink.